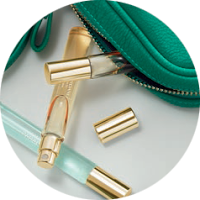 Take your favorite Oriflame fragrance everywhere you go, take the opportunity to try a new scent, or treat a friend with an elegant fragrance. With the sprays in travel size, anything is possible! Have you ever wondered why a fragrance is right for you? Something magical happens when you discover the ideal combination of notes for you; Something like the moment you fall in love with someone. Through its intricate chords, the perfume tells a story – different to each person. What do you want to feel when you use a fragrance? Feminine and graceful, bold and confident, sensual or subtle and serene? Find your fragrance in our collection of scents created by some of the most celebrated perfumers in the world! Exquisitely radiant, travel-sized floral-woody fragrance that evokes an aura of pure elegance and art, With an exclusive heart composed by the note of Flor de Laranjeira Luxury Essenza. 8 ml. 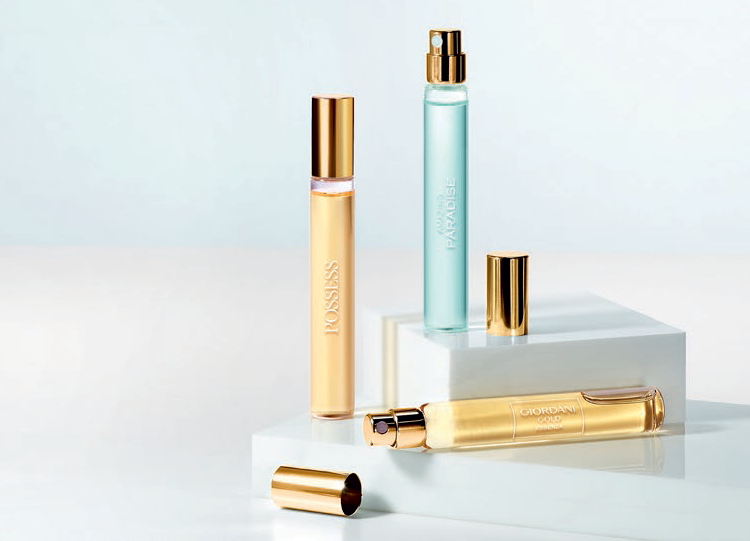 Discover the rare, fascinating and exotic Paradise Drop flower in a travel-size spray. With citric and woody notes and an unforgettable effervescent character. 8 ml. Eau de Parfum Eau de Parfum Travel Size timeless effervescent but intensely seductive, in a travel-size spray that bewitches with its tempting ylang ylang notes. Sensual, luminous and unforgettable. 8 ml.